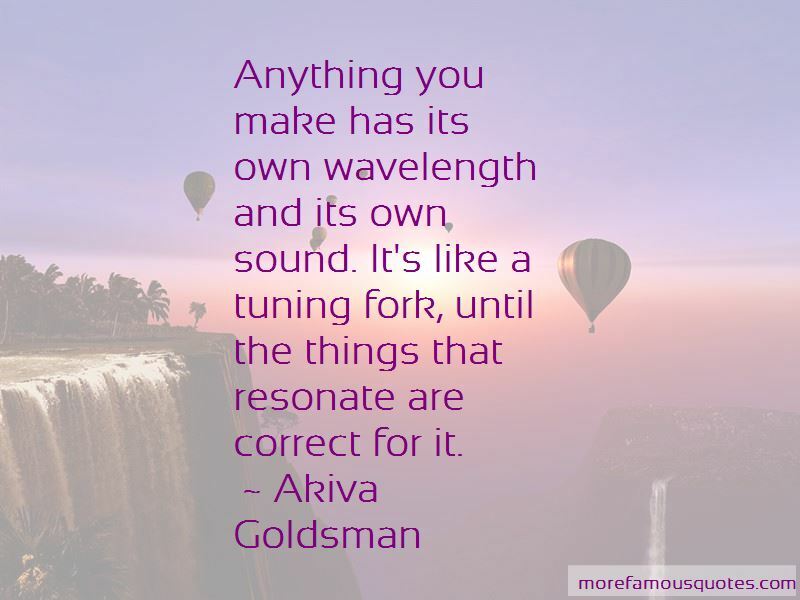 Enjoy the top 12 famous quotes, sayings and quotations by Akiva Goldsman. I have now become so infatuated with television. I think television has become elegant. 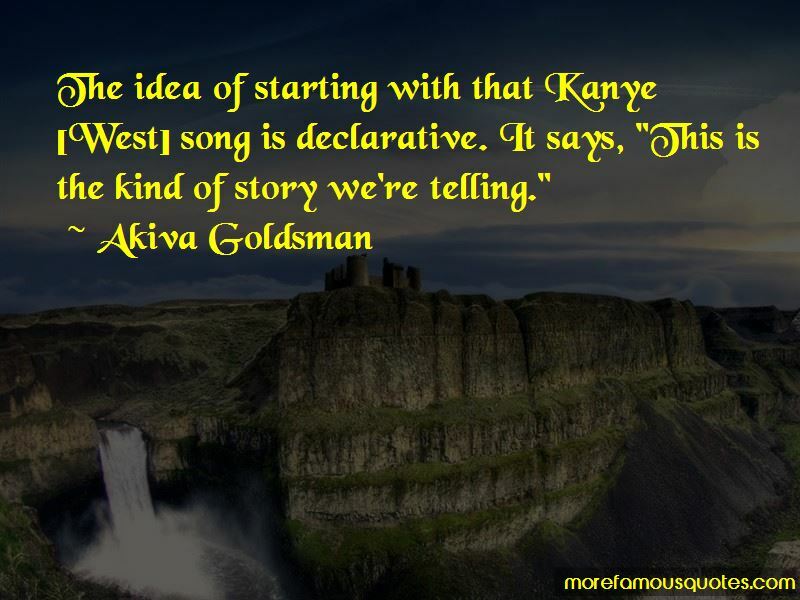 The idea of starting with that Kanye [West] song is declarative. It says, "This is the kind of story we're telling." 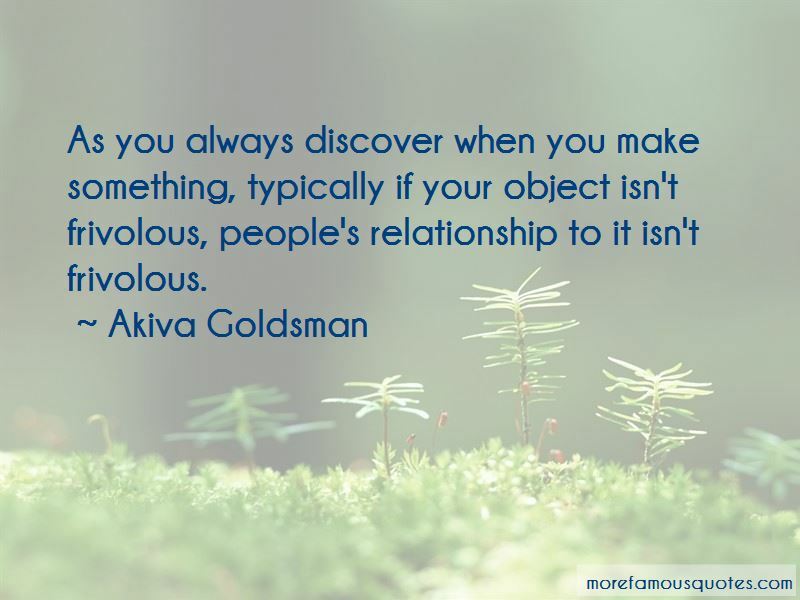 Want to see more pictures of Akiva Goldsman quotes? 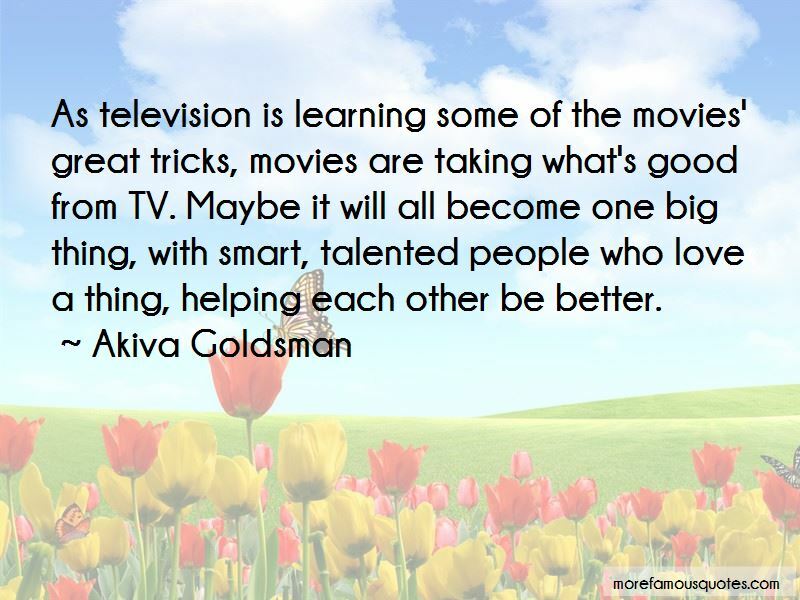 Click on image of Akiva Goldsman quotes to view full size.